Christopher Ransom was charged with murder, aggravated manslaughter, robbery, assault and menacing, police said. NYPD officers who responded to an attempted robbery that ended in the friendly-fire death of Det. Brian Simonsen Tuesday night had fired a total of 42 rounds, police said Wednesday. 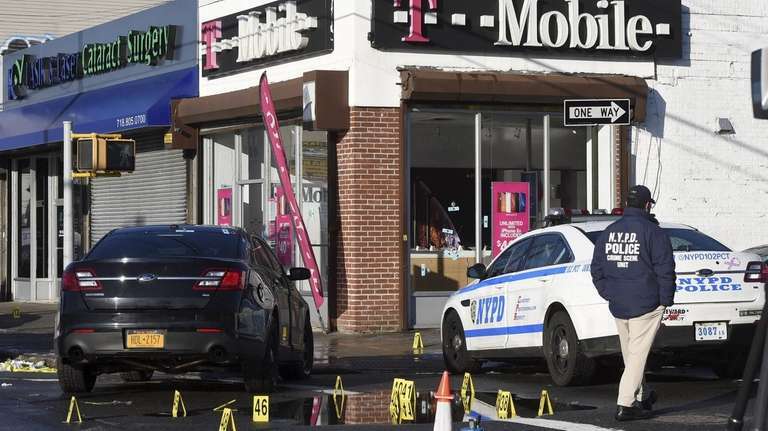 Robbery suspect Christopher Ransom, 27, charged at officers while waiving an imitation pistol and refused to drop it before cops opened fire at the T-Mobile store in Richmond Hill, Queens, Chief of Department Terence Monahan said during a briefing on the investigation. One of the rounds struck Simonsen in the chest and another hit his supervisor, Sgt. Matthew Gorman, in the thigh, according to police. "We don't know at this point who shot who. It was a really chaotic scene," Monahan said. "Just understand, this happens in seconds; it goes from zero to 60. You're investigating a possible crime and then all of a sudden someone is charging at you, pointing what you believe to be a firearm and simulating firing at you. It raises everything very quickly." Ransom was charged Wednesday with second-degree murder, aggravated manslaughter, first- and second-degree robbery, assault and menacing, police said. The shooting was captured on body-worn cameras and surveillance video, and the footage is under review, according to police. NYPD officers swarmed the cellphone store on 120th Street near Atlantic Avenue just before 6:15 p.m. Tuesday in response to 911 calls reporting an armed robbery by a masked man. Gunfire erupted from outside the building on both sides as Simonsen and Gorman – on the force for 19 and eight years, respectively – were backing out of the store, according to police. The shooting lasted approximately 11 seconds and occurred less than a minute after officers entered the store. Gorman is believed to have fired 11 times, Simonsen twice and five other officers a combined 29 times, cops said. Simonsen was shot while standing outside the store and Gorman was inside with two other officers when he was hit, police said. Both were in plain clothes and neither were wearing bulletproof vests. Gorman, of Seaford, is recovering at Jamaica Hospital Medical Center. Monahan said he visited with the sergeant Wednesday morning. "I can tell you, he's not the least bit concerned about his own injury," the chief said. "He's overcome by the emotion of losing his friend and his partner . . . as are all of the officers in the 102 Precinct." The city medical examiner's office said Wednesday that Simonsen, of Calverton, died of the gunshot wound to his chest, ruling his death a homicide. Ransom, who a law enforcement source said has 25 prior arrests, also was shot multiple times. 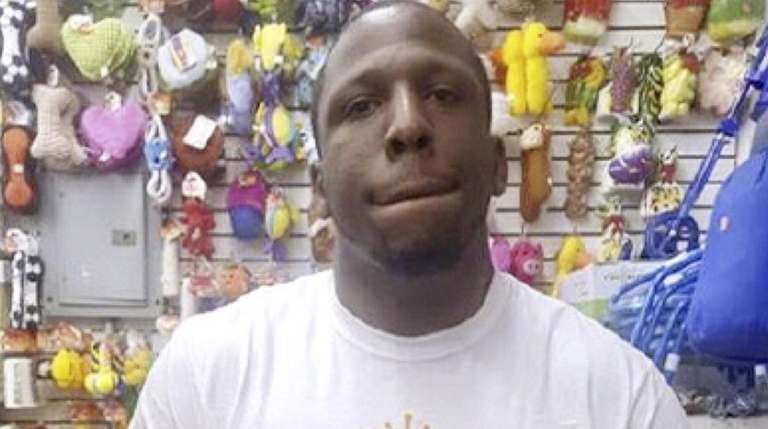 He remained in stable condition Wednesday at NewYork–Presbyterian/Queens Hospital in Flushing. Many of Ransom's prior arrests are sealed, the source said, but eight cases are open, including larcenies, a violation of an order of protection and criminal impersonation of a police officer in Brooklyn. "We're going to be looking for the public's help in getting more information about him, about what he may or may not be involved in," Monahan said. Mayor Bill de Blasio promised that the NYPD would conduct a “full review” of the shooting — the second time in recent months that a department officer had been accidentally shot by another cop. In December, NYPD officer Amir Pali was struck in the left torso by another cop during a confrontation with an intoxicated man wielding a knife. “I think it’s a very serious issue that needs to be looked at,” de Blasio said Wednesday. Simonsen was appointed to the NYPD in March 2000 and made detective in May 2008, an NYPD official said. He spent his entire career in the 102nd Precinct. Gorman was appointed to the NYPD in March 2010 and made sergeant in April 2017, police said. Friendly fire suspect had impersonated cop: NYPDChristopher Ransom has four misdemeanor convictions, the most recent in November 2016. NYPD Det. Brian Simonsen known as 'Smiles'"He could make friends with perfect strangers ... Everybody knows Smiles." Queens detective killed in 'tragic case of friendly fire': NYPDDet. Brian Simonsen was responding to an armed robbery at a T-Mobile store, Commissioner O'Neill said.